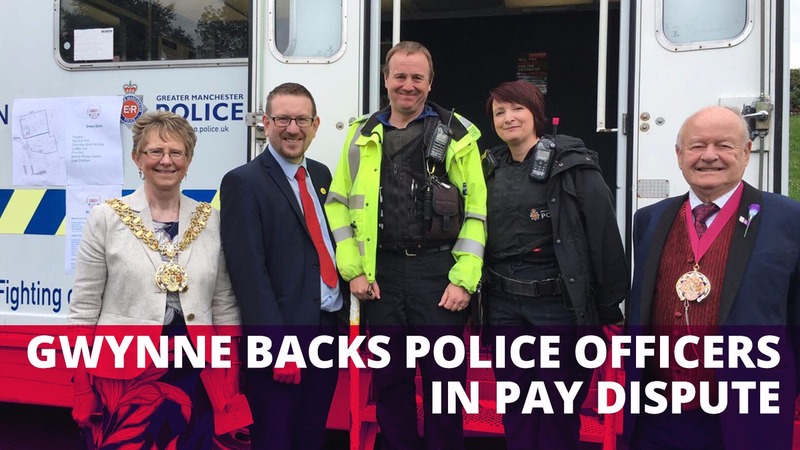 Denton and Reddish MP, Andrew Gwynne, has reacted with anger towards the Government as they announced their pay settlement for police officers for 2017/18. On Tuesday 10 September, the Police Remuneration Review Body (PRRB) announced their recommendations for the 2017/18 pay settlement. The Policing Remuneration Review Body recommend a 2% consolidated pay rise to all pay points for federate and superintending ranks. At PMQs the next day the Prime Minister claimed that the government had accepted the independent body’s recommendations in full, this is untrue. Instead the Government has offered a 1% pay rise and a 1% one-off non-consolidated payment to officers at federated and superintending ranks. The additional 1% is non-pensionable. Furthermore, the Government confirmed in their response that the new pay settlement would be unfunded. This means that already over-stretched police forces that had budgeted for a 1% pay increase will now have to find additional funds to cover a further 1% increase backdated from 1st September for one year. The Metropolitan Police estimates this will cost them £10.5m, West Yorkshire and West Midlands both estimate it will cost them 80 frontline officers. Across Greater Manchester the force has lost 1,445 police officers and 37 Police Community Support Officers (PSCOs) between 2010 and 2015. “Yesterday the Prime Minister claimed that police officers had seen a 32% pay-rise since 2010. But the truth is that only 4% of new-starters have seen such a pay-rise and the vast majority have seen their pay fall by up to £6,000.